Silicon Valley might become the new Motor City. 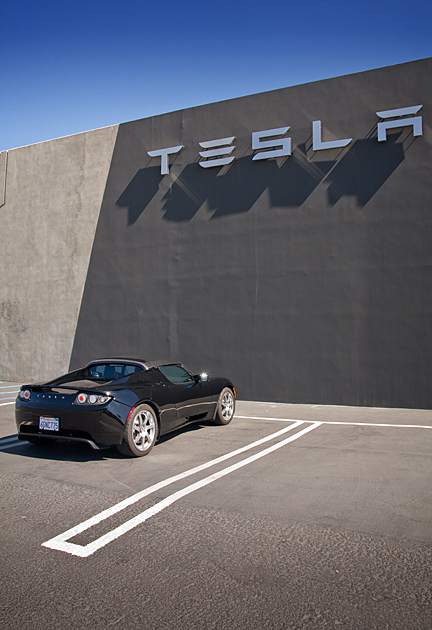 Shown above is the Tesla Motors showroom in Menlo Park. Tesla, a San Francisco Bay Area start up, is building pure electric cars that score as high in performance and looks as they do in environmental friendliness. 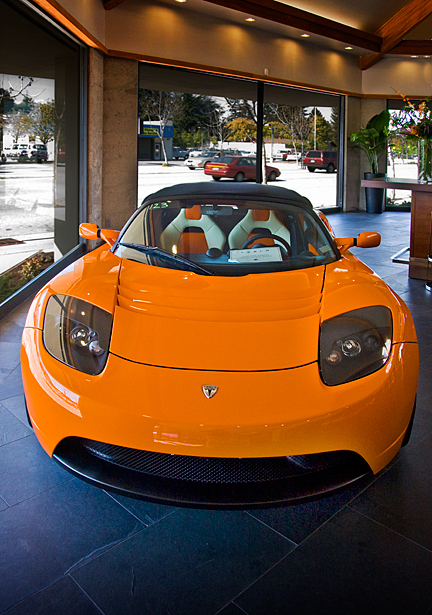 The Tesla Roadster Sport goes from 0 to 60 in a neck-snapping 3.7 seconds with a top speed of 125 mph and 288 horsepower. Not bad for a zero-emission vehicle, huh? The body is hand crafted carbon fiber and, as a fully electric vehicle, it needs only a single speed gearbox. 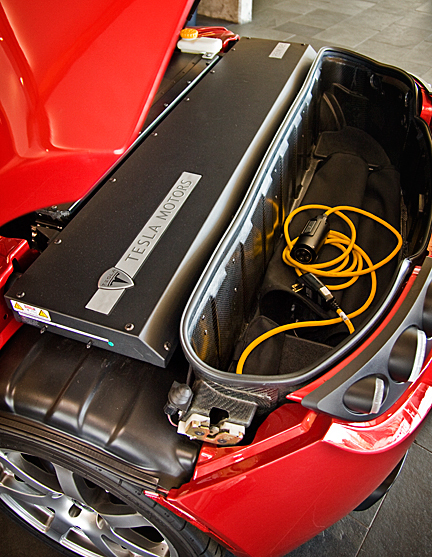 The Tesla is powered by a microprocessor-controlled lithium-ion battery pack with over 100,000 mile lifecycle which can travel nearly 250 miles without a charge. To fully recharge the battery takes only 3.5 hours, with partial cycles being faster. The $109k roadster is Tesla's first model but in the spring of 2011 the company is launching a sport sedan to be priced at only $49K with a 300-mile range and only a 45-minute recharge. So sell your old hybrid Prius, the Tesla is faster, sexier, and far more green.